Emphasizing on the importance of promoting weavers across the state by introducing their outputs to the fashion world and to promote Khadi movement, the 2nd edition of North East India Fashion Week in association with Govt. of Arunachal Pradesh held here at Multipurpose Culture Centre from August 19 to 21, 2016. Hollywood/Bollywood actor Adil Hussain, Mr. Earth India 2011 and Mr. India International 2012 Opang Jamir, International pro-wrestler/ Director/Actor Koombang – The Storm, among others, walked the ramp of this illustrious fashion extravaganza. The Fashion Week, conceptualized by acclaimed fashion designer Yana Ngoba, witnessed the participation of over 20 young designers and weavers from the region who believe in showcasing their traditional fabric and patterns and have successfully carved a niche for themselves in the fashion industry. 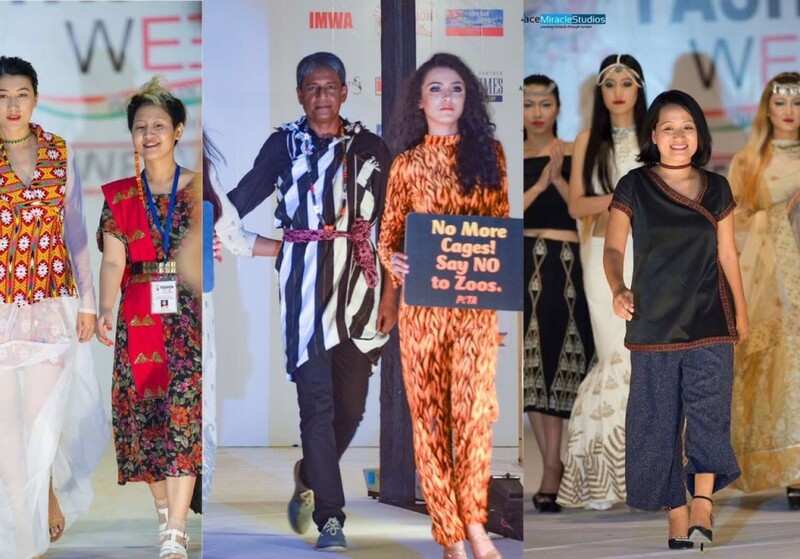 The designers who showcased their collection over the three day gala fashion event were Arita Kashyap and Rohila Engtipi from Assam; Nana Gona, Milli Indira Dangngo, Techi Yapar and Minu Mara, jewellery designer Renu Logum from Arunachal Pradesh; Lalthabiki Chawngthu from Mizoram; Rupert W. Lynrah from Meghalaya; Gloria Ovung and Ongtiong Kichu from Nagaland; Archana Kabra from Rajasthan and Vanshala Mishra from Bihar. Apart from this, the weavers who got the platform to showcase their work at the event were Dimbeswari Kherkatary, Sammar Das and Kabita Pegu fromAssam; Weavers of Upper Dibang Valley, N. Tsomu and Sapna Sidisow, Apatani Weavers from Hong village of Ziro from Arunachal Pradesh; Meitei weavers from Manipur and Naga weavers. Arita Kashyap from Tezpur, who runs a fashion label by her own name, emphasizes on the rich heritage of Assam silk and it’s weaving patterns. She uses raw textures and natural dying techniques for her latest collections. She is specialized in creating variant patterns and textures in Eri, Muga, Mulberry (also known as Nuni paat), Tassar silks produced in Assam. Archana Kabra from Rajasthan presented a collection called ‘Rajputana’ in the NEIFW. The collection draws inspiration from the proud history, glorious culture, exquisite textiles, and intricate craftsmanship of Rajasthan. “For my collection, I am using zari embroidery, block print, batik print, tie and dye, leheriya print, bandhej and kota doria to promote the craftsman of Rajasthan. I am also working on a fusion of the weaves of northeast with the embroideries of Rajasthan”, she said. Archana will soon launch a label under the label AK in Guwahati. North East India Fashion Week is a concept created and implemented by Affluent Ray of Light (ARL) to promote weavers, designers and craftsmen of the region in the national as well as international market and to empower talent of northeast by providing them a networking opportunity and by facilitating buyers for their products. This event is a platform provided to all accomplices within northeast Indian industry, with a special focus on weavers and handicrafts, with a motive to build network and alliance with partners & markets across the globe. 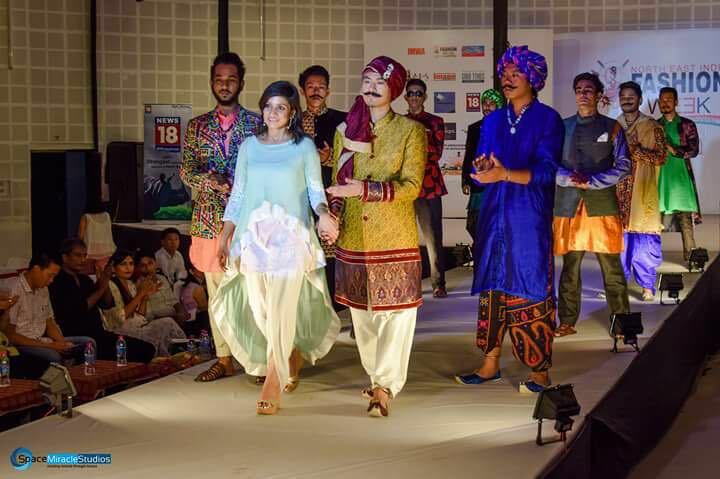 ARL believes that it is very important to preserve the northeastern region’s rich fabrics, traditional handlooms and handicrafts, and very few of the designers from the region are making an effort to do so. 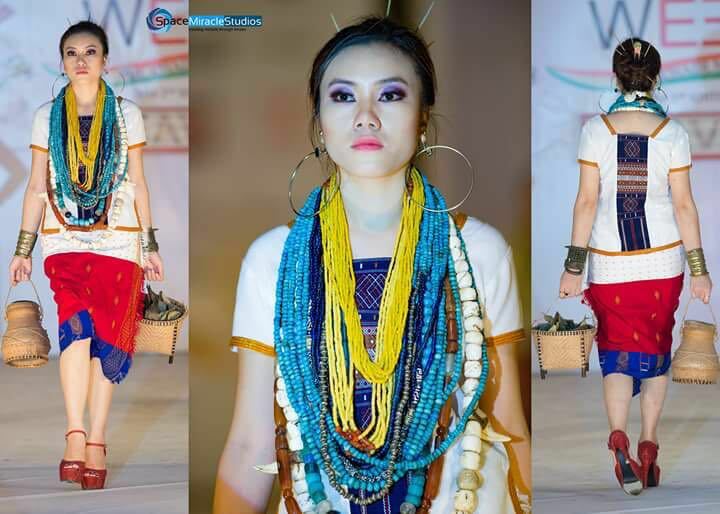 Their mission is to promote and preserve the vast variety of indigenous textiles and crafts that are slowly losing popularity amongst the younger generation, through fashion shows and help create business and branding opportunities for industries directly or indirectly engaged in retailing handloom, textile fashion and life.